It’s so neat to me that we’ve been friends with the Mullican family long enough to have gone to two birthday parties! At Lorelai’s party last year I tried to help out by taking a bunch of pictures and I did the same this year (you can see more of them on Robyn’s blog entry). Aren’t these invites adorable? The owl theme is mega hot right now for sure! Once the party got going we all got a nice surprise when my sweet Kye showed up (with his Daddy of course). He had napped great and seemed well enough to handle it! He was still rather lethargic and not his regular peppy, friendly self but at least he was there right? Kye loved the Minnie and Mickey toys! we had to take turns holding the baby…I think he gave Robyn baby fever! Me…not-so-much! He was adorable but didn’t make me want one! 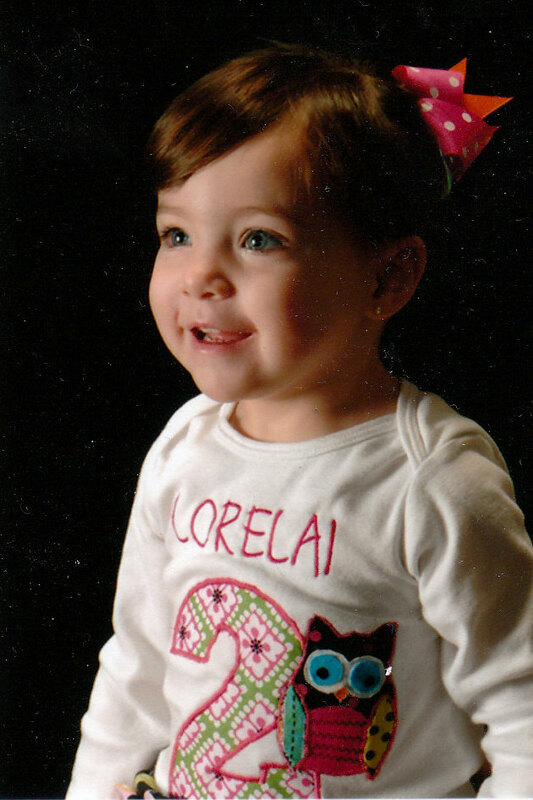 they gave out a cute little picture of Lorelai with her favors…isn’t she adorable? Thanks again Matt and Robyn for hosting such a fun event! 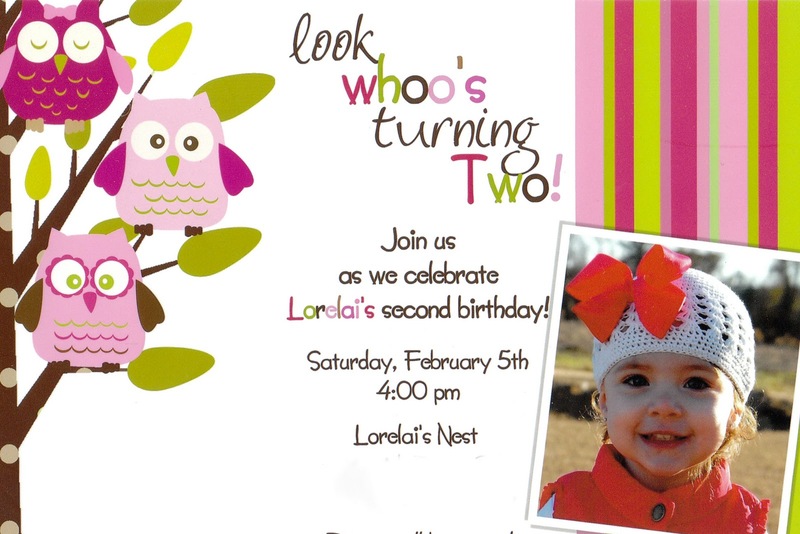 I hope Lorelai had a great second birthday!! !